As you may have noticed, this year has been a particularly rainy one. We are currently on pace for the wettest year of the past decade. Before it is all said and done, 2018 could be the wettest in the past 20 years. Protecting your home or business from the rain is a roof’s primary function. Extended periods of wet weather test your roof’s integrity and can quickly expose weaknesses that require professional repair. Throughout the Greater Cincinnati, roofing contractors have been receiving massive amounts of requests for service. Unfortunately, the plentiful amounts of rain that have made repairs necessary have also made it more difficult to service our customers. 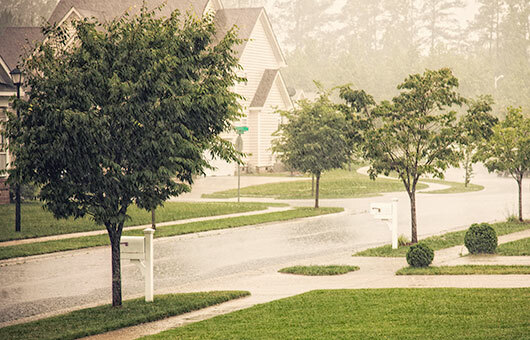 Rain makes it very difficult to perform roofing services-especially on low sloping roofs. Local contractors have reported at least a 1/10 inch or rain on nearly half of the work days since May. This has delayed project schedules across the board to the extent that local roofers have had to drastically delay or turn away business. 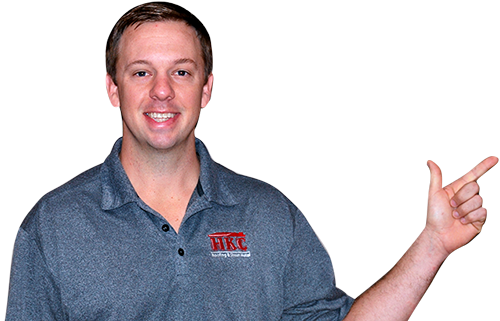 HKC, as well as other local roofers, have weeks and weeks of backlogged repairs as well as estimate requests. It is incredibly frustrating to be unable to deliver our services in a timely fashion when our services are needed the most. Unfortunately, we are all subject to mother nature and can only work as quickly and as safely as the weather allows. While we understand that this may be of little comfort when dealing with a leaky or damaged roof, know that Cincinnati roofers are doing all we can to keep up as we eagerly await a dry spell.